It?s beginning to look a lot like Christmas with this artisan tree ornament (or sun catcher, or rear view mirror hanger, or gift package topper). 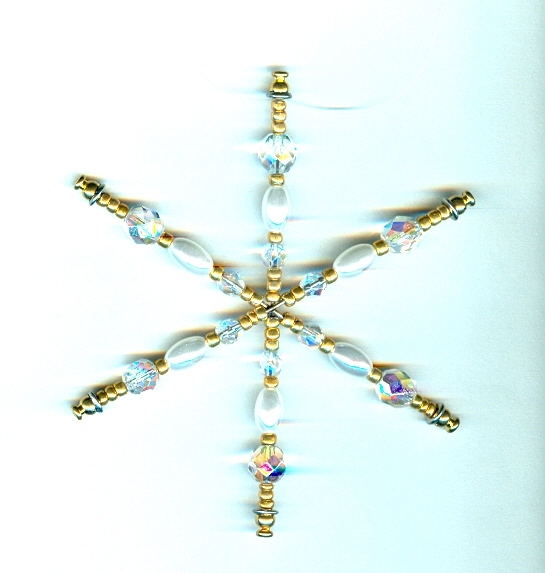 The snowflake tree ornament has six arms, each one threaded with clear glass faceted beads and gold glass seed beads, along with plastic oval pearls. The tree ornament is about 3-3/4" in diameter. It?s only one of our many Holiday-themed ornaments. See them all our tree ornaments at SPARKLE PLENTY. 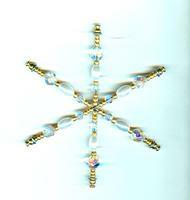 With its glowing lavender seed beads, gold-colored embellishments and white plastic pearls, this tree ornament has a unique and exotic look.